Blackwell Law Firm has been a sponsor of the Huntsville High School Marching Band. Our firm believes in our local schools. We live in a special place. North Alabama is fortunate to have communities which invest in education. Our local schools offer many opportunities for students to excel in academics and other activities. We believe local companies should support their community schools. The Firm was a 2016 sponsor of the Huntsville High School Band. We plan to continue our sponsorship for the 2017 marching season. Go Big Red! 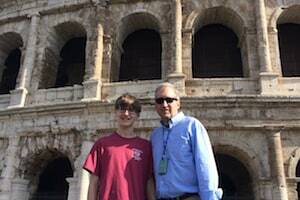 In addition to being a band sponsor, firm attorney Jeff Blackwell was a chaperone when the band took a 2016 trip to Italy. 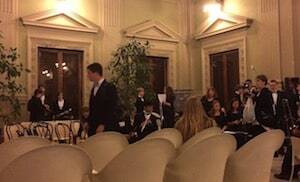 While in Italy, the band played two concerts. It was a great trip and the opportunity of a lifetime for many of the student musicians. For Jeff, it was also a great opportunity to spend a week with his son who plays trumpet in the band.